Moment of honesty here. Sometimes I leave a session feeling like it was just awful. I feel like I didn't get the shots that I really should have or that I was super awkward and the couple probably thought I was a crazy man. Seriously, you can ask my wife, I overthink EVERYTHING. But usually after going through the session a few days later to edit it I end up loving it. haha It's ridiculous I know I know. But this session was different. This session felt great from start to finish. Allie and Brian had so much energy between the two of them. They were comfortable, laughing, cracking jokes (mainly Brian, haha), and just having a great time. THAT'S what I want for everyone I photograph. 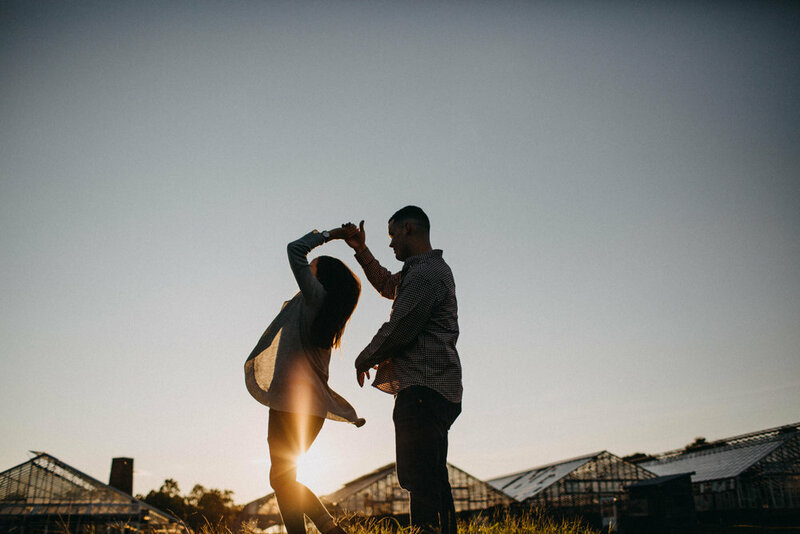 We shot their engagement session at Lynchburg Grows which is right smack dab in the middle of Lynchburg, Virginia. If you've never been you should really go. Their property is incredibly beautiful. It's quite refreshing to find such an amazing place in the middle of a city and one that is incredibly accommodating when it came to taking photos there. 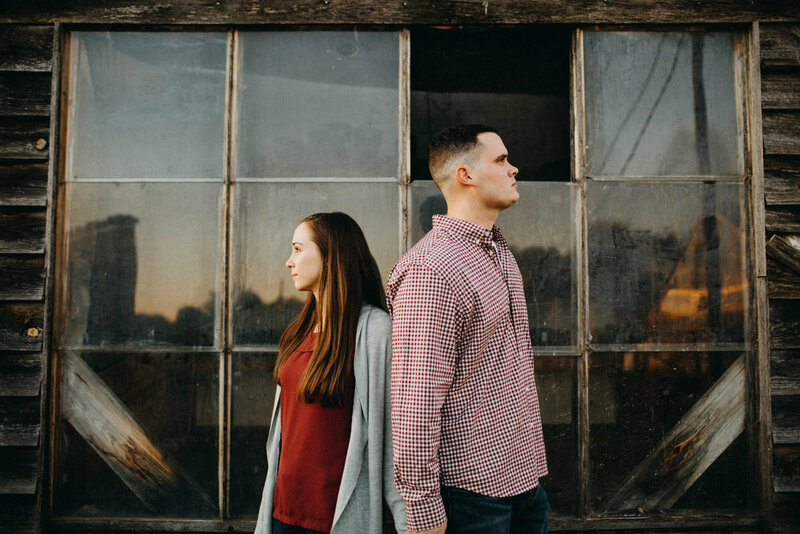 We had their session just a few days before their wedding because Brian is in the military and couldn't get to Lynchburg until then. 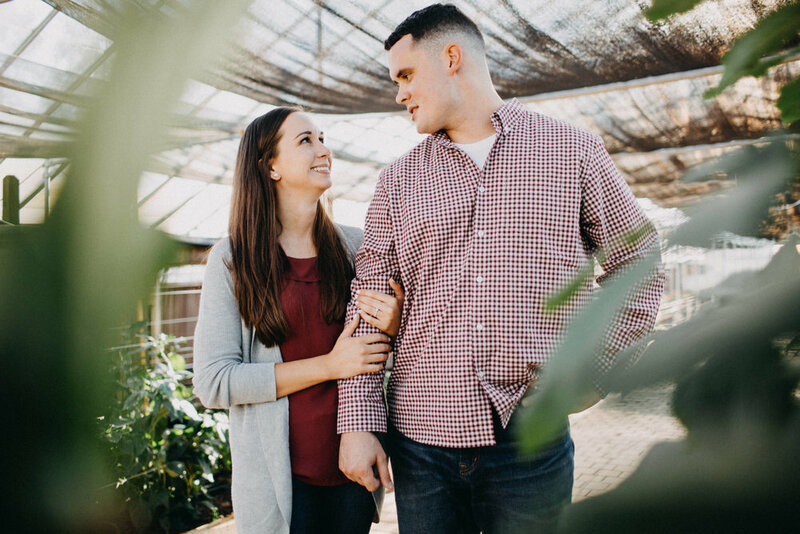 Since engagement photos are included in all of my wedding collections they didn't want to miss out on having some awesome photos of them together other than just the ones from their wedding. It was well worth it. 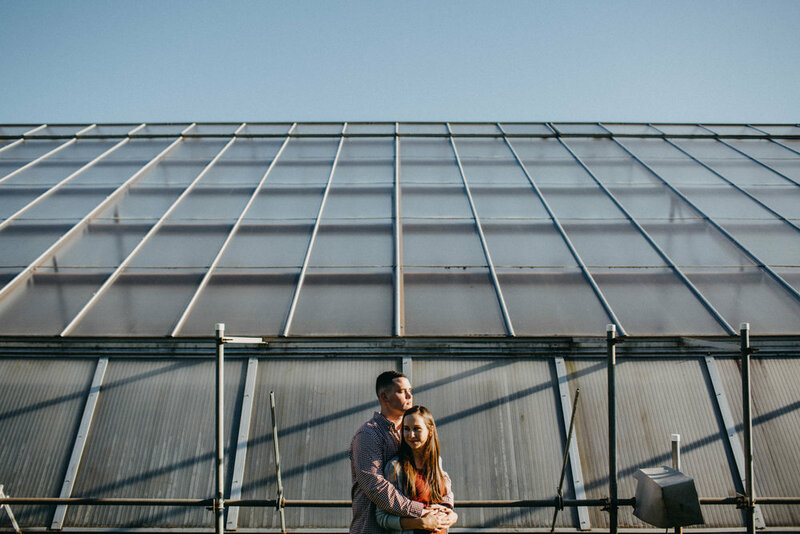 Keep an eye out for their wedding to be on the blog soon! 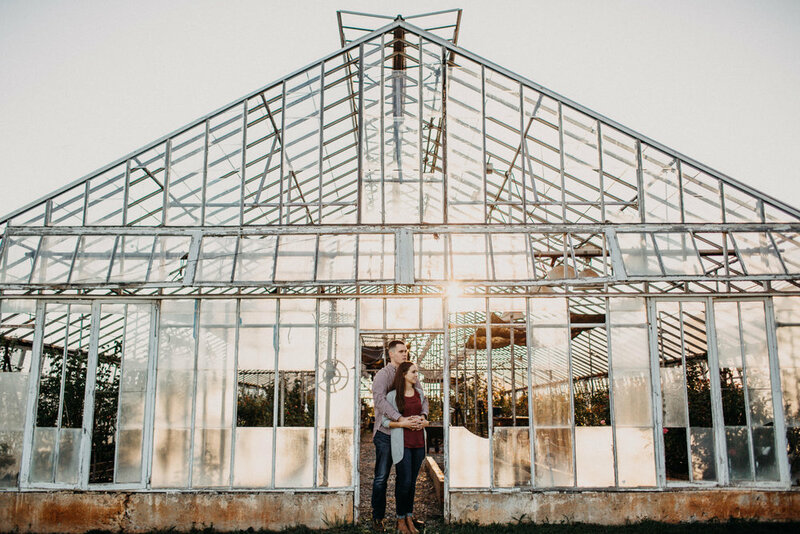 In the mean time enjoy their engagement session.